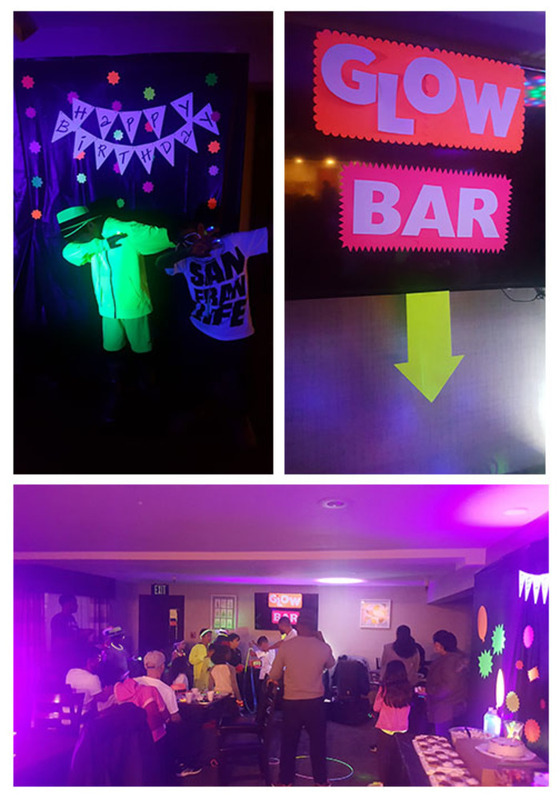 Mary in Renton, WA planned a Glow Party for her son's 7th birthday bash. She sent in these photos that showcase some decoration ideas like her "glow bar". The party was held in a room at the Clarion Hotel in Renton and they rented 4 black lights to add the glow effect.